Bordeaux mixture is an approved organic fungicide and bactericide with an interesting history. It is made of calcium hydroxide (“slaked lime” or “whitewash”) and copper sulfate, and it is bright blue when mixed up. If used too often, the copper can build up in the soil and become toxic to earthworms. Like many organic pesticides, just because it is approved for organic use does not mean it is entirely benign. When grapes from the Americas were first introduced to France, they brought with them fungal diseases that were unknown in Europe. The European grapes had no resistance and soon succumbed to a fungal epidemic - except for the grapes growing along certain roadsides. Turns out the farmers had been spraying copper sulfate on the grapes along the roadsides to make them taste awful, so that people walking by would not eat them! But it so happened that it also made the grapes immune to the fungus. Bordeaux mixture is named after the Bordeaux region of France, where this discovery took place. You can buy commercially-available Bordeaux mixture at better nurseries, usually sold under a name resembling “Brand-Name Fungicide”. You can also make your own, but the raw ingredients are not readily available in smaller, home-garden quantities. Because the materials themselves can be somewhat hazardous to work with, I recommend visiting the UC Davis IPM website which has the recipe and safe handling instructions. There are now safer and much more effective fungicide/bactericides available, including this one from Gardens Alive!, which uses good bacteria (Bacillus subtilis) and other ingredients to control bad bacteria and fungi rather than copper sulfate (which is an enzyme disruptor). 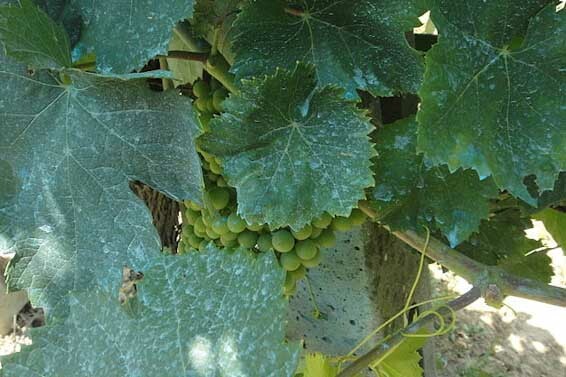 The best homemade alternative to Bordeaux mixture is “actively-aerated compost tea”, or AACT. It is a specially-brewed tea made from living, homemade compost which is bursting with aerobic-bacteria (the good kind) and good species of fungus, both of which outcompete the “bad” fungi such as powdery and downy mildews and many of the “bad” bacterial plant diseases such as dollar spot and various leaf spots. 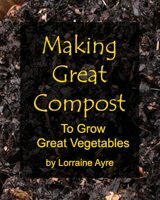 Making AACT is easy, but it is more than just an infusion of compost in water. Complete instructions can be found in the Aerobic Compost Tea article.